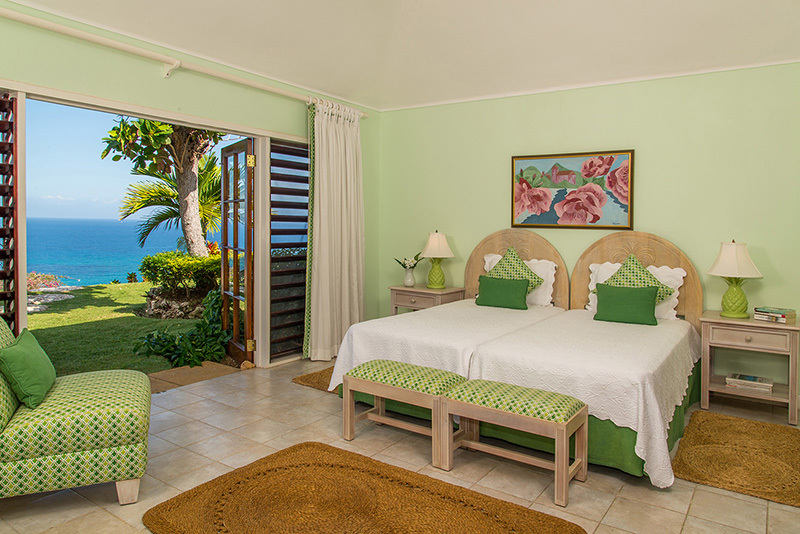 5 luxury bedroom villa at the famous Tryall Club, expansive Caribbean Seaviews, wonderful and loyal staff! 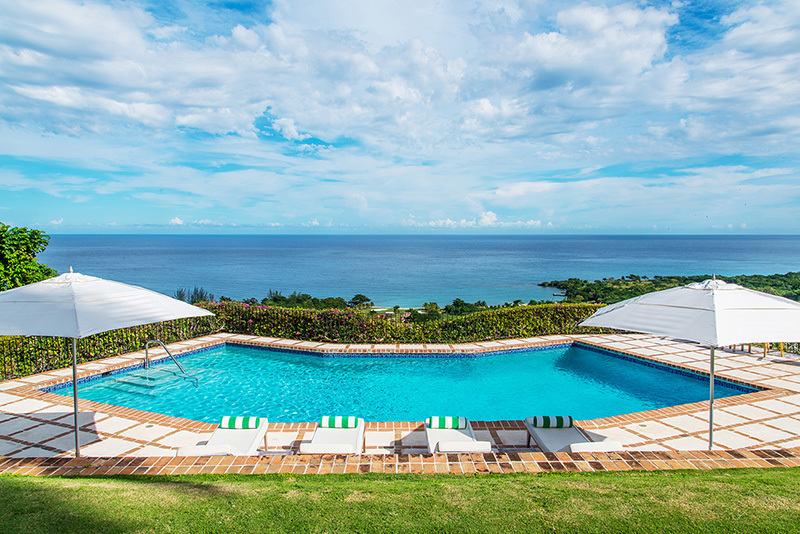 Cielo villa in Jamaica is perched high on Barnes Hill, providing a stunning and breathtaking view of the sloping manicured green lawns, the infinity pool and the vast expanse of the golf course at Tryall Club. 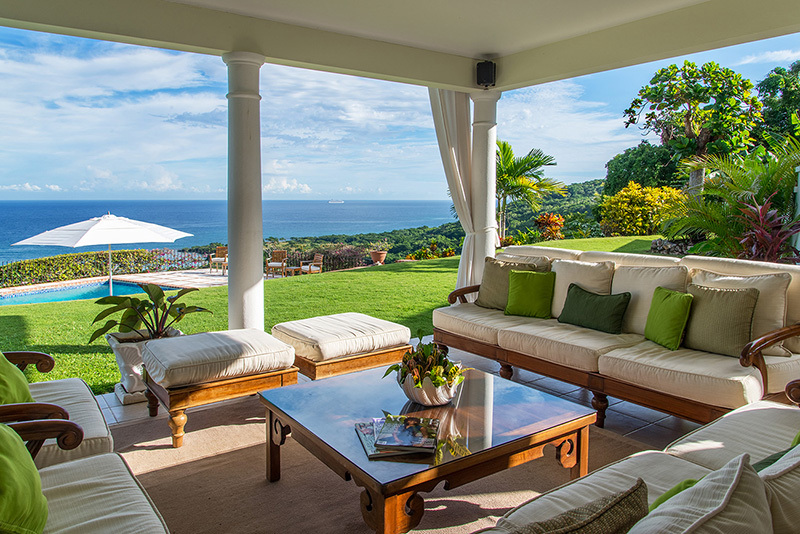 The picturesque view of the sparkling Caribbean Sea from the Jamaica villas’ verandah is completely mesmerizing! 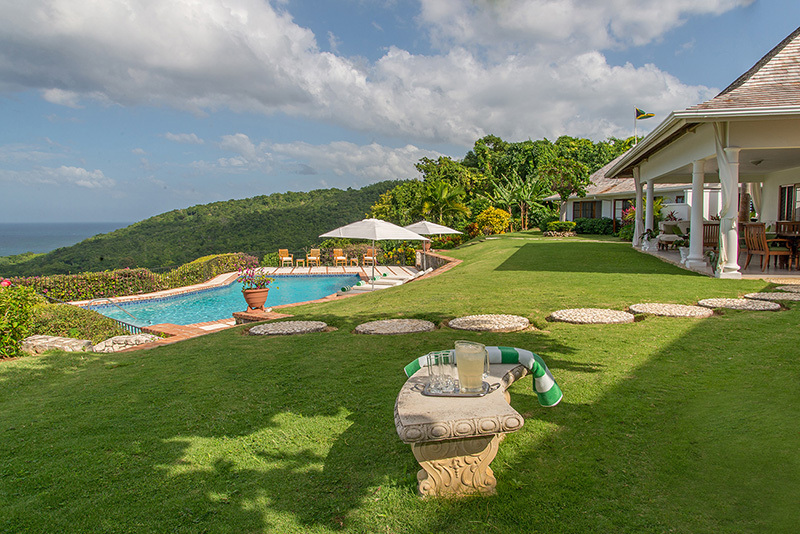 Cielo villa at Tryall is sophisticated, yet very comfortable, making it the ideal option among villa rentals in Jamaica for a group or friends or a family who want a vacation where they can enjoy each others’ company. 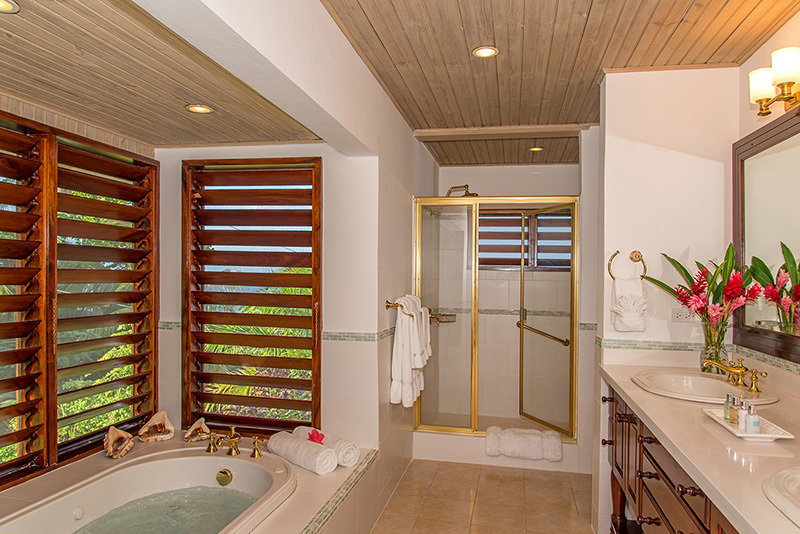 The airy and spacious villa has room for up to eight guests. The villa provides the perfect setting for a break from a hectic lifestyle, to take time to dream and escape into some relaxing moments. 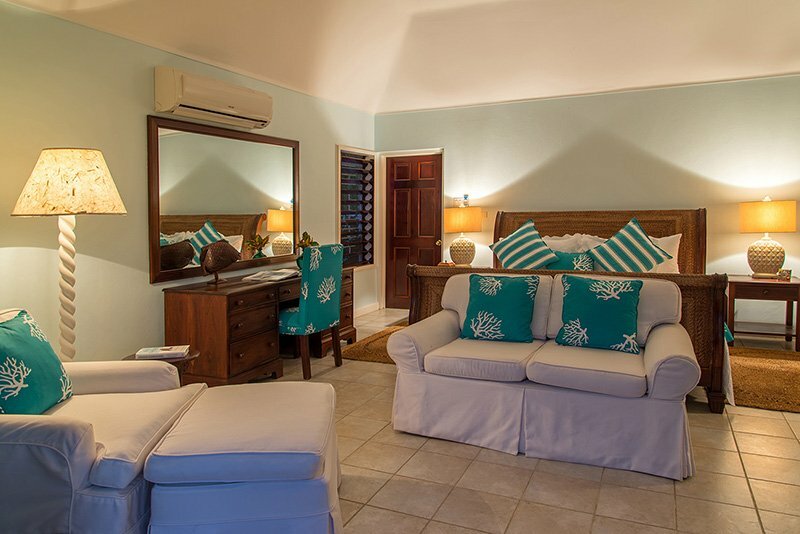 Each room in the villa is very tastefully decorated with elegant furniture, exquisite furnishings and all essential amenities. The living room is quite large with complete arrangements for an entertaining vacation, including cable television, DVD and CD player, stereo system and wireless internet. The bedrooms are located on both sides of the living room. 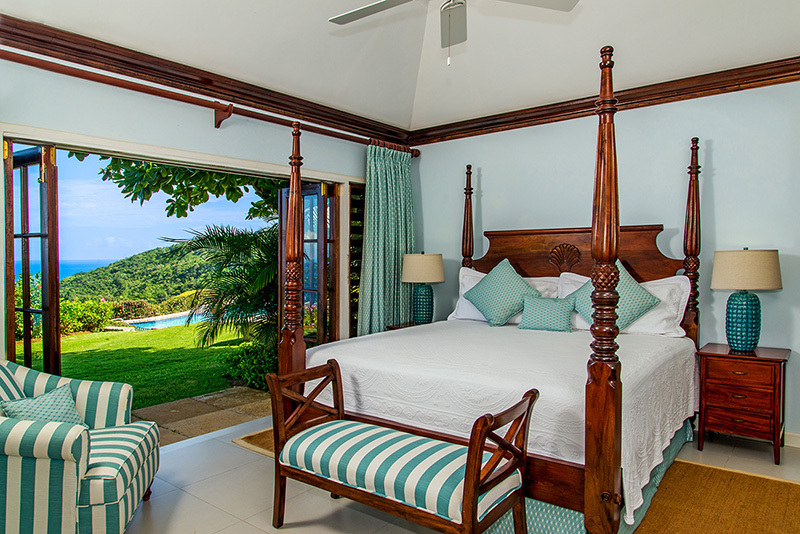 Cielo villa at Tryall is a five-bedroom villa, with king-sized beds in two rooms, while the third one is furnished with two twin-sized beds. 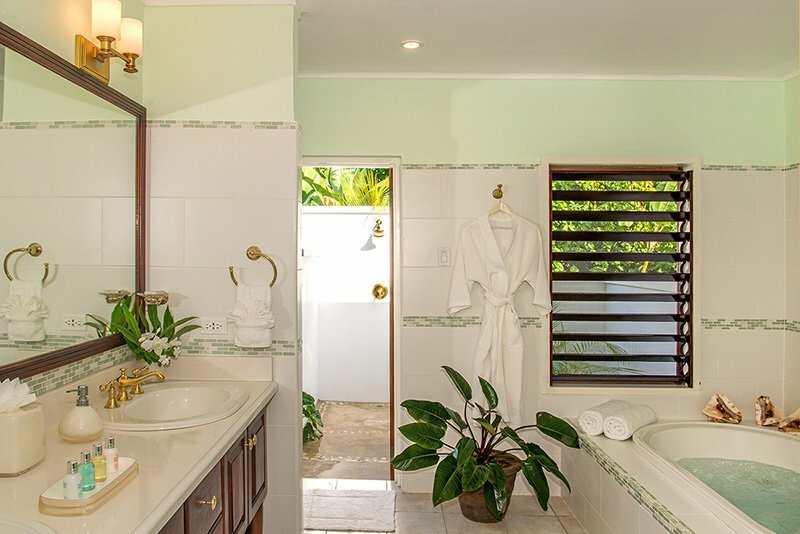 A unique feature among luxury villas Jamaica is the private cottage situated right next to the pool has the fourth bedroom, furnished with a king-sized bed. The cottage has a small private verandah with an exclusive view. 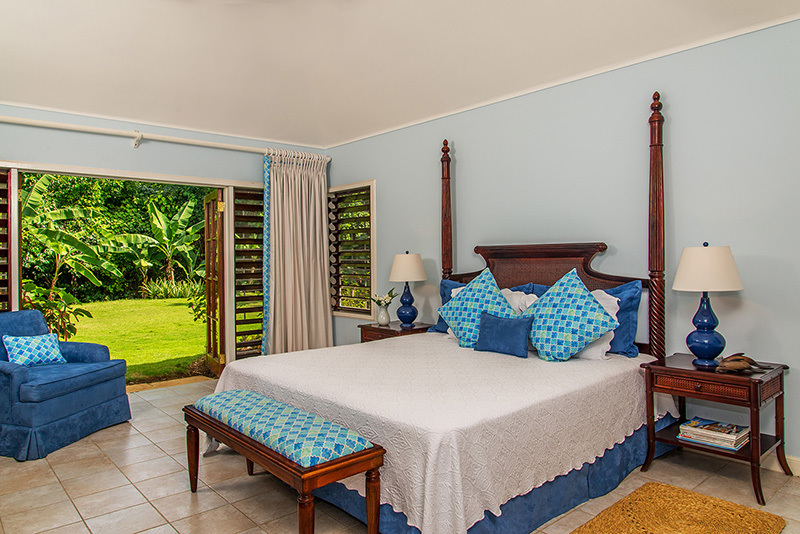 All the bedrooms are air conditioned, with cable television and en suite bathrooms. 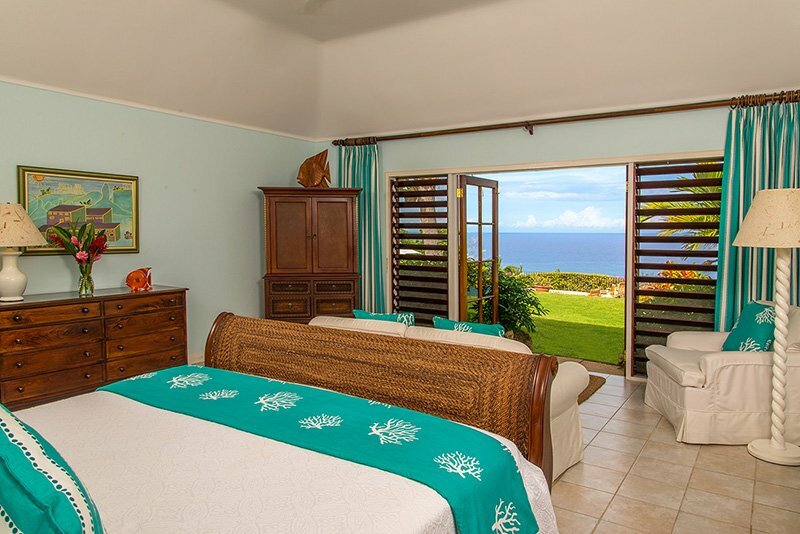 The villa also has a study that can be converted into additional bedroom with its pull-out sofa bed. 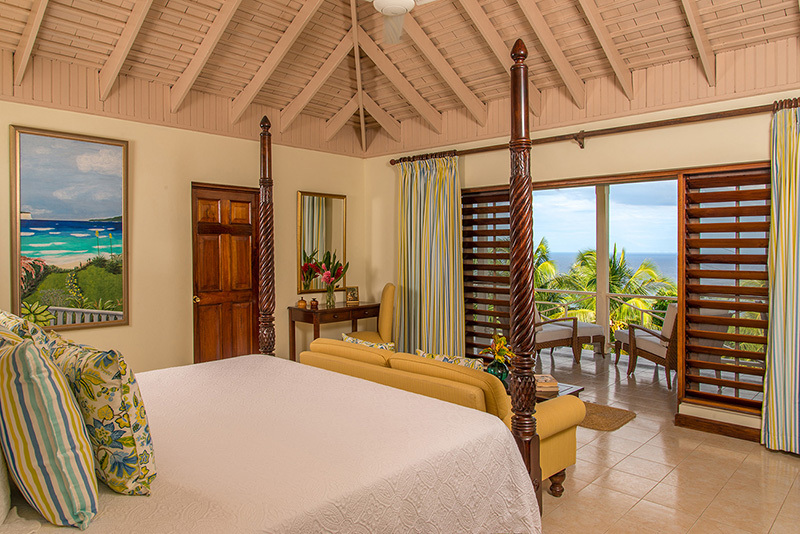 The bedroom windows all provide breathtaking views of the scenic beauty that surrounds the villa. 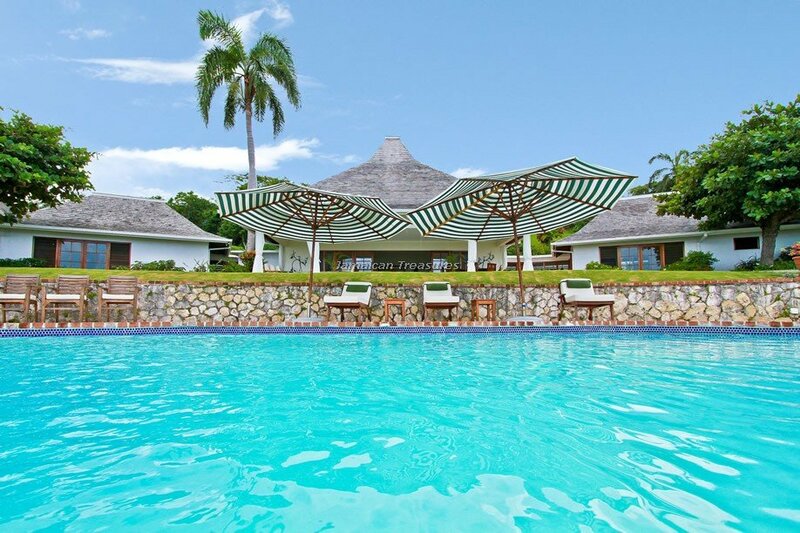 The shaded verandah is the best place to relax while breathing in the beautiful landscape that surrounds Cielo Villa. 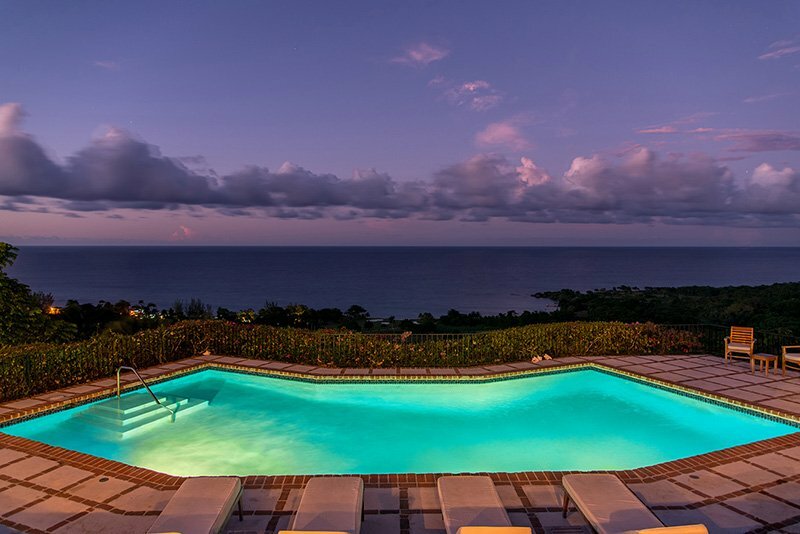 The view includes the sparkling blue pool, some amazing greenery and the Caribbean Sea beyond. 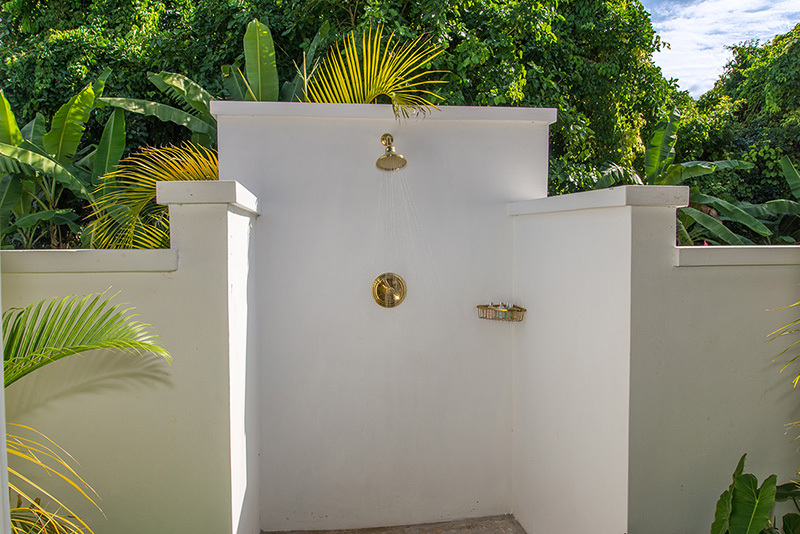 The beautifully landscaped gardens surrounding Cielo are maintained perfectly and make it one of the loveliest villas in Jamaica. 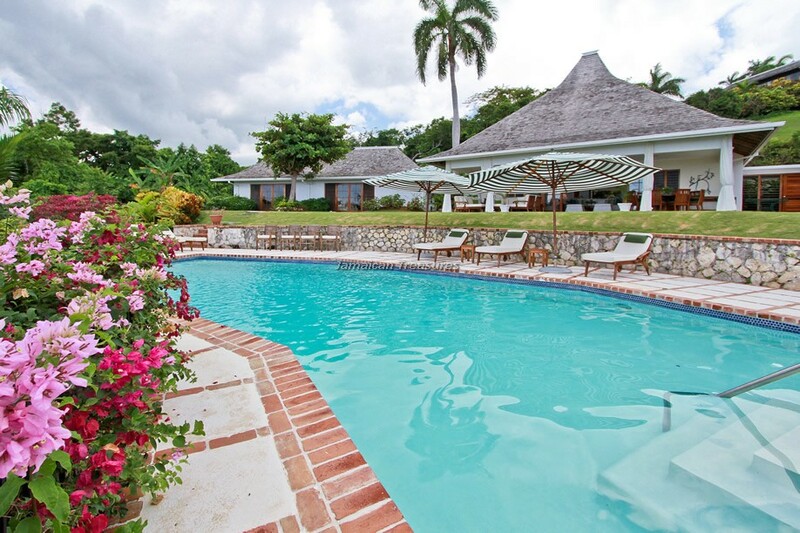 Guests have the use of two complimentary golf carts to explore the beautiful Tryall Club and golf course. 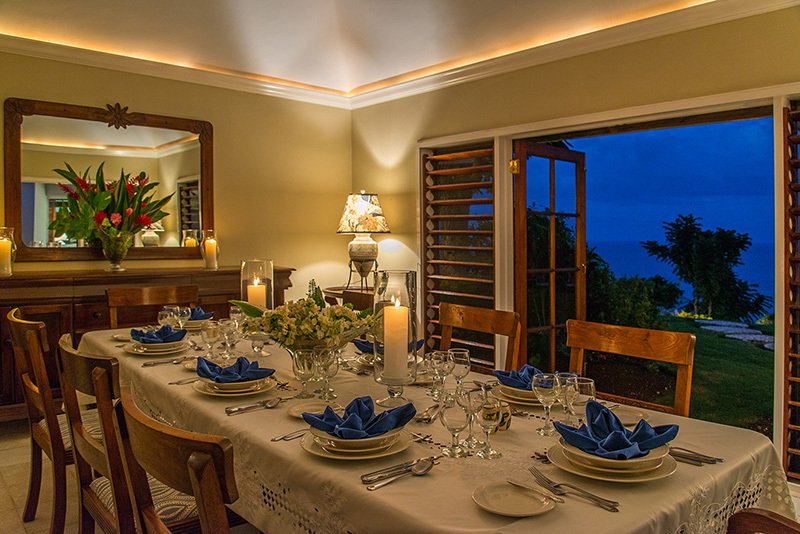 The dining room is very tastefully decorated and opens into a verandah, making the view outside part of the décor. Cielo at Tryall has an excellent cook, who ensures that each meal is a unique dining experience for the guests. The expertise of the cook and his staff reflects in the fine touches and minute details in the cuisine and the excellent service. Guests can request local specialties and international favorites in cuisine. 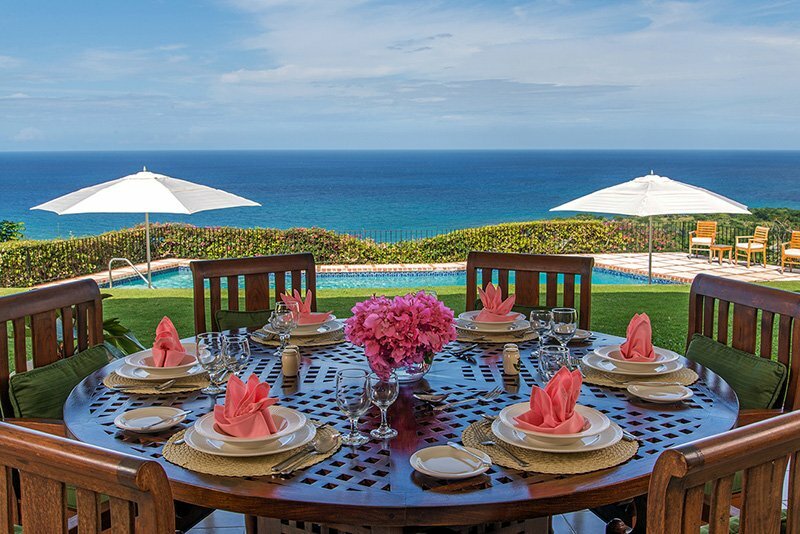 The villas private staff includes an excellent team of experienced and professional housekeeper, cook, butler, laundress and gardener. The staff is dedicated and committed towards making the guests’ every wish come true.